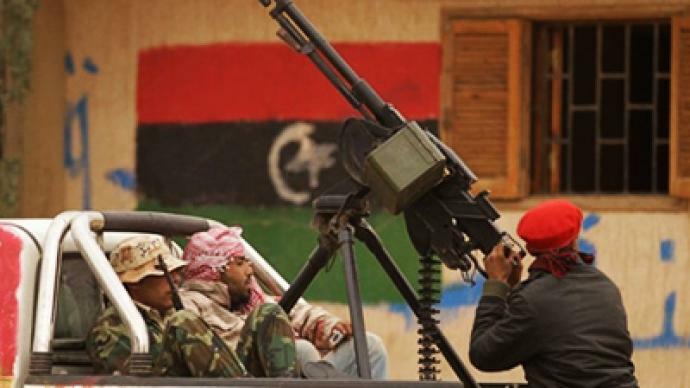 Government forces and rebels in Libya are giving conflicting reports on their continued clashes. The UN Security Council is gathering to consider a draft resolution on imposing a no-fly zone in the country. Muammar Gaddafi’s government said it claimed two major victories on Tuesday, taking over the city of Ajdabiya and the port of Marsa Bregha. They are now preparing to lay siege on the rebel capital Benghazi. The rebels say the reports are false and claim that government troops were ambushed in Ajdabiya and suffered many casualties and materiel losses there. Both sides accuse each other of spreading lies by way of propaganda. Gaddafi also voiced some of his plans on post-conflict settlement, which he sees with himself still in power. The Libyan leader will reject oil supplies to all western countries except Germany and will sell the fuel to Chinese, Russian and Indian companies instead, he said in an interview. Meanwhile, a draft resolution imposing a no-fly zone in Libyan airspace, border inspection to prevent mercenaries from entering the county and other measures has been submitted to the UN Security Council. The document prepared by Lebanon on behalf of the Arab League with UK and France’s backing will be considered on Wednesday. French Foreign Minister Alain Juppe said in his blog on Wednesday that several Arab countries assured Paris and London that they will provide their troops in case the Security Council gives its mandate for military intervention. China opposes any military intervention in Libya, including any restriction of flight. Some other nations including Germany and Russia voiced concerns that the draft resolution leaves too many questions unanswered. 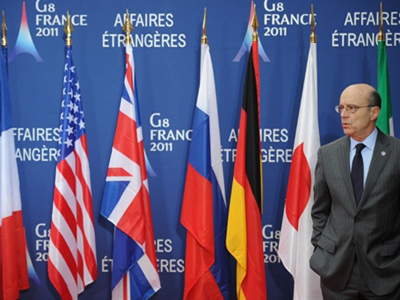 Earlier, G8 nations failed to come to a united stance over the situation in Libya at a meeting of foreign ministers in Paris.